The DragonBoard’s smart-phone ancestry is plain to see. It boots into Android, supports impressive video, and a plethora of other media types. It even has a GPS antenna. Makers will appreciate its GPIO pins for interacting with the physical world, and the option to swap Android for Linux or even Windows 10 IoT. It comes in a compact package: a credit card sized board, barely thicker than its USB ports. The designers even picked a smaller power-plug, to keep the board thin. 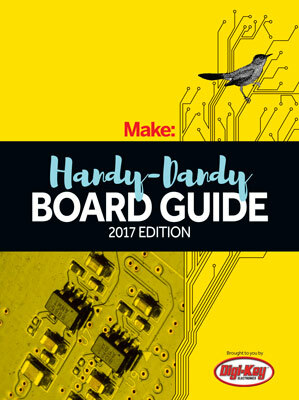 The DragonBoard packs a ton of multimedia support into a small, thin, single board computer. If you already know and love Android, this board will give you that familiar environment. If you’re a veteran of single board computers, already versed in Linux, you can have it that way, too.